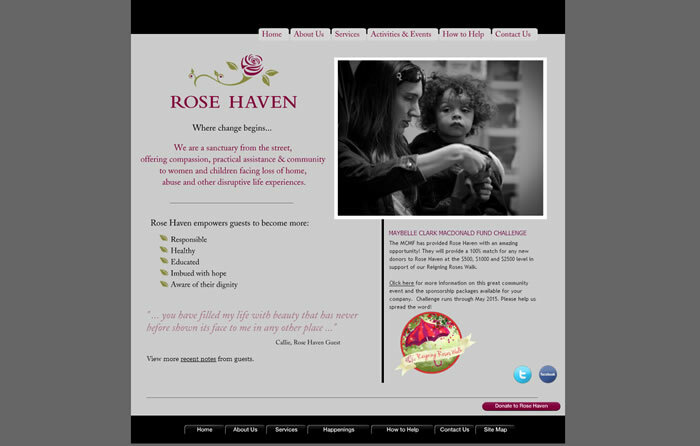 Rose Haven needed a fresh look, and new applications that would allow them to post timely information, manage their calendars and events, and share their social media content more dynamically. They also needed to be able to maintain their website easily on their own–and the site needed to be mobile device-friendly. 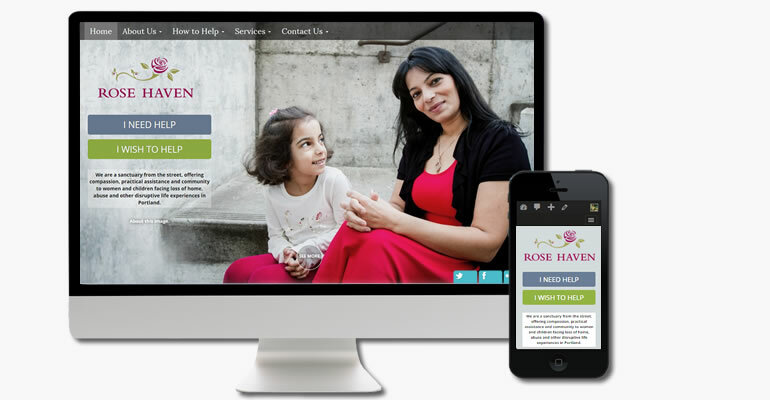 In collaboration with the Rose Haven staff, we rebranded the home page to focus on the organization’s successes and humanity, while streamlining the choice points (above the scroll) to two: needing help, or wishing to provide help. Although the design direction for the home page is “minimalist”, it still comfortably and logically showcases (below the scroll) their primary content and priorities: blog, public calendar, social media streams, and secondary choice points. Since this new website is built on the WordPress platform, the client now has far greater control over content and users. 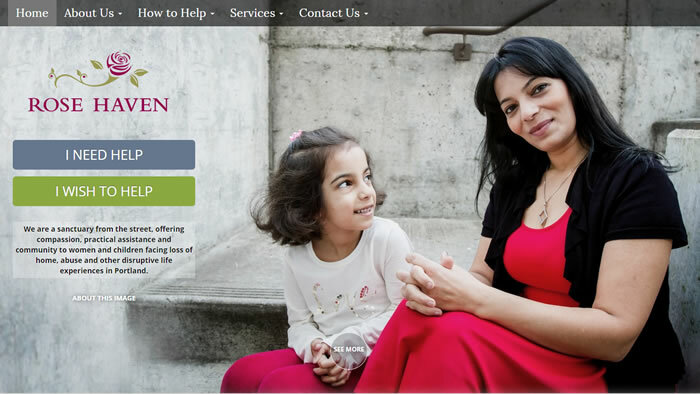 And by applying BootStrap styling, the website is responsive on various viewing sizes and devices.